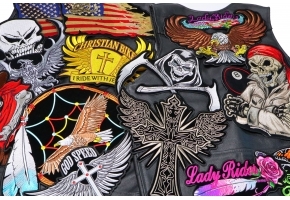 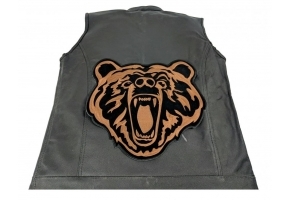 Uses Sew it on to center back of Leather Jackets, Vests or Shirts. 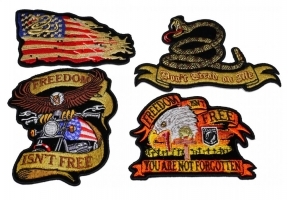 The large version of Freedom Isn't Free Eagle Patch measures 12x9 inches. 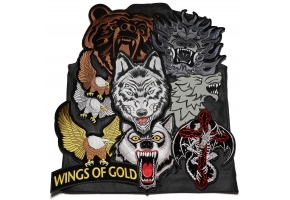 There is a smaller version as well. 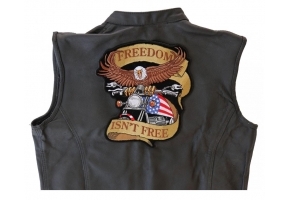 The patch carries the message "Freedom Isn't Free. 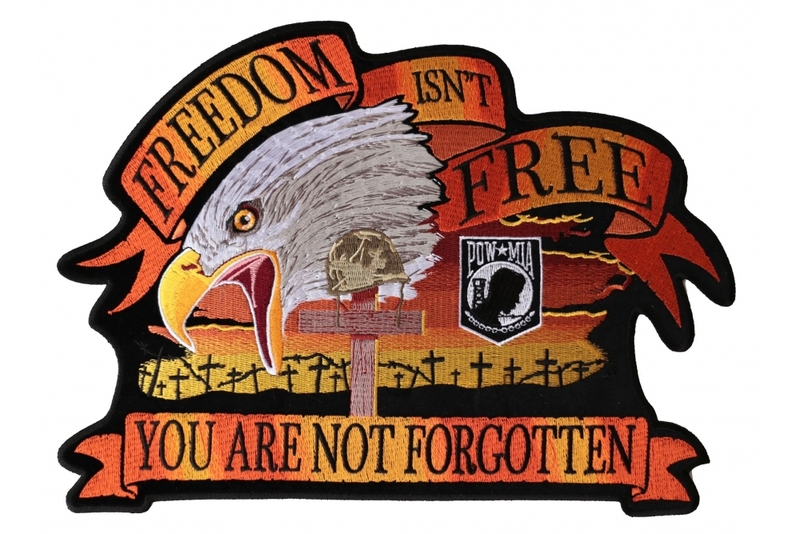 You are not forgotten". 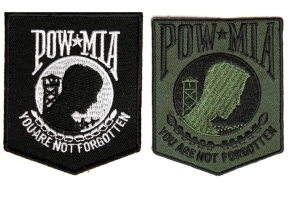 Remind us about our POW MIAs. 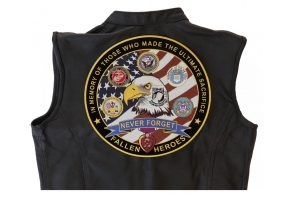 The orange themed patch shows cemetary crosses and a helmet over a wooden cross. 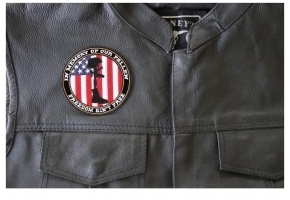 The patch is designed by Arturo Vilmenay. 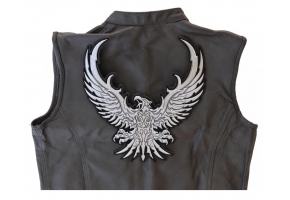 Reproduction without prior written permission is not allowed. 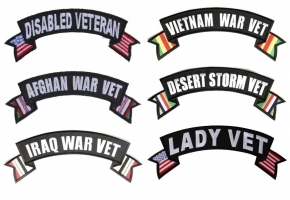 Thank you for buying genuine versions. 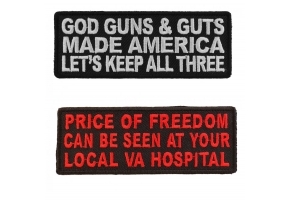 This patch will nicely decorate the back of your vest displaying your American Patriotism. 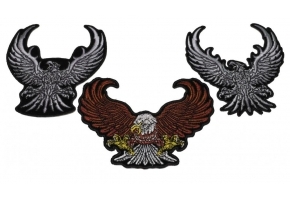 The Patch is Embroidered. 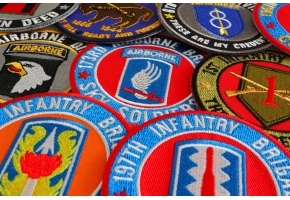 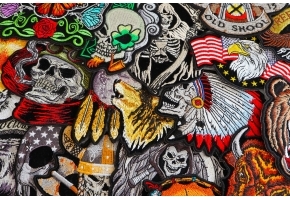 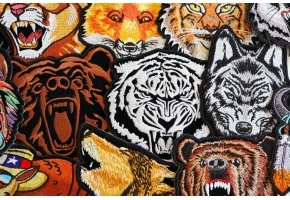 Embroidered Patches are also known as iron on appliques, sew on badges or insignias.